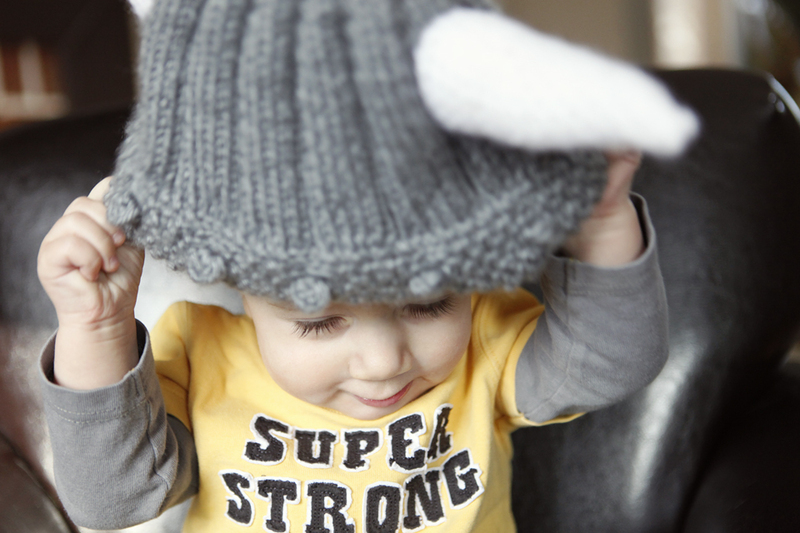 My friend, the wonderful and talented, Kristie Cromie, helped me out last week by taking a few photos of her adorable little Will posing in the Viking Helmet kids hat that I had made for her. 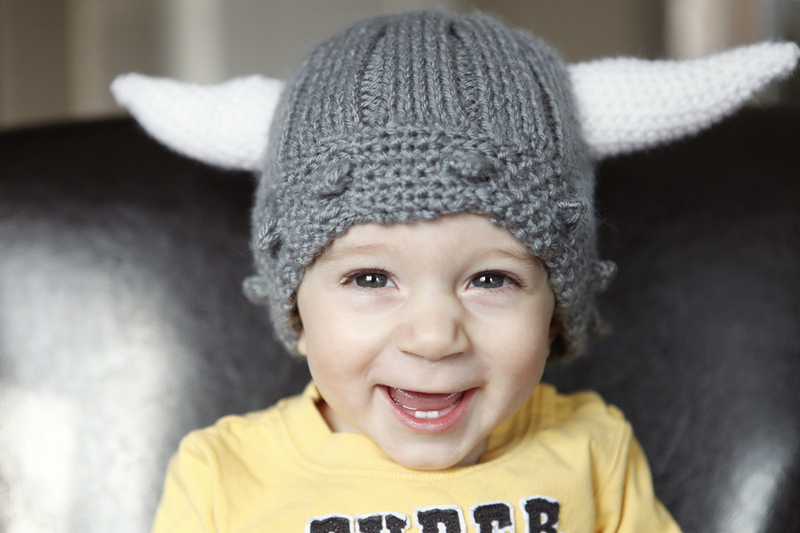 The pattern is available at http://www.etsy.com/listing/61293067/viking-helmet-knit-and-crochet-pattern. I tried to use ribbing to make it stretchy and give it that plated metal look. I made the brim seperately using a seed and bobble stitch to give the appearance of rivits on the hat. 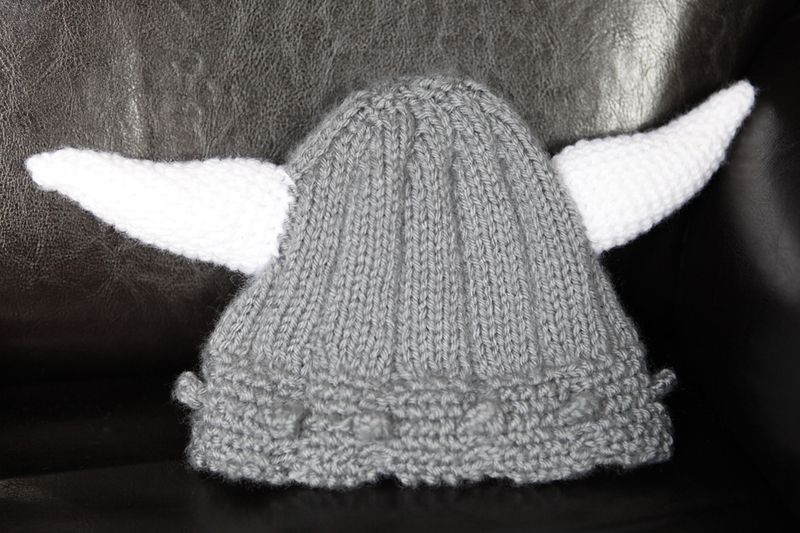 Lastly, I crocheted and stuffed the horn so they would stick up. I’ve tried this hat in multiple colors including blue and hot pink. I’d like to make a version with braids, but I keep running out of time. Next Post Sorry for the lack of posts.